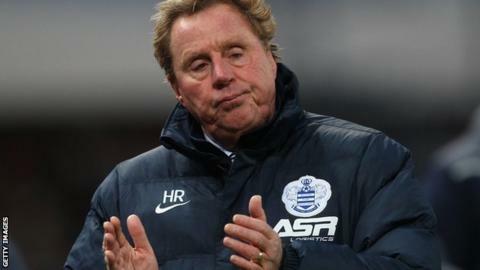 Former Tottenham and West Ham boss Harry Redknapp says he has no intention of becoming Derby County manager - this season at least. The 69-year-old was appointed as a football advisor by the Championship promotion hopefuls on Wednesday. Redknapp, who has been out of football since leaving QPR in February 2015, will work with Rams head coach Darren Wassall until the end of the season. "No chance. I will not be manager of Derby County this season," he said. "Darren is here until the end of the season and hopefully many years to come. The chairman has said Darren is managing until the end of the season and that he's good enough. That's what he told me. He is the manager. "If for any reason he doesn't stay until the end of the season and he goes I will not take over as manager - I will go as well. "I'm here to help until the end of the season, that's it. If we go up who knows what could happen next season. The chairman may say he wants me to come back next year. But I'm only looking at these nine games, plus possibly the play-offs." He also stressed he was there in an advisory capacity: "I'm not director of football. I won't be bringing any players in, I won't be making any signings," he said. "I'll sit in the stand. I'm not going to run down to the dug-out or have a hotline to the touch line." The emergency loan window for Football League clubs closes on 24 March and Redknapp is known as a shrewd dealer in the transfer market. But he insisted he was merely at the club to offer Wassall a second opinion when he needs it. The Rams are fifth in the Championship, seven points outside the automatic promotion places. Redknapp, who has also agreed to manage Jordan for their next two World Cup qualifiers, is confident the club have the team in place to earn promotion to the Premier League this season. "They've got an excellent group of players. It is a group that should be getting promoted," he told BBC Radio Derby. "The chairman has invested big. Everything they have wanted they have been given and now it's time for them to give something back."